I'll be at SPX in Bethesda MD on Sept 14th and 15th behind the Top Shelf booth surrounded by Owly graphic novels and Jeffrey Brown fans. 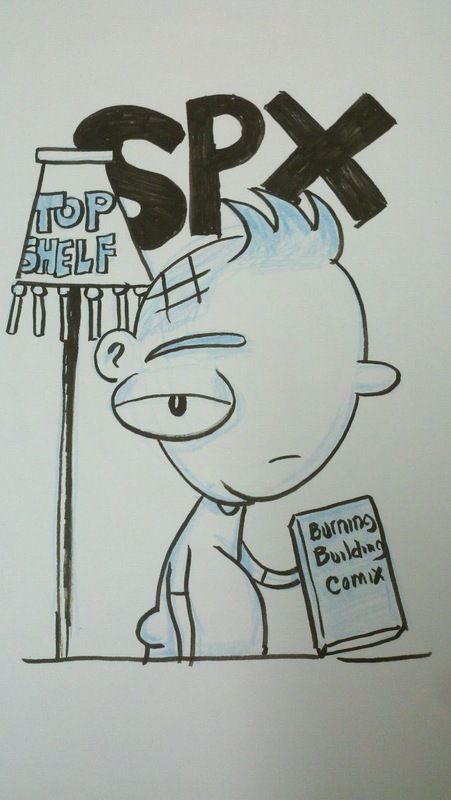 I'll be selling my book, Burning Building Comix, and no, it isn't that Chris Ware book. Additional note: I debuted my book at SPX last year and sold out of my 50 advance copies. I got distributed through Top Shelf to Diamond and have gotten down to just over 1 box left of that initial 1000 print run. The last of the first printing will be at SPX, so come and grab it before the second printing is out in a couple of months.